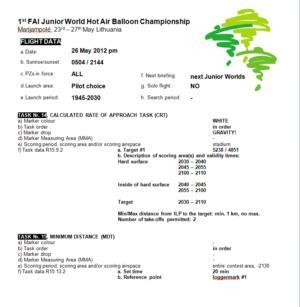 The General Briefing of the 1st FAI Junior Hot Air Balloon Championship will start soon. 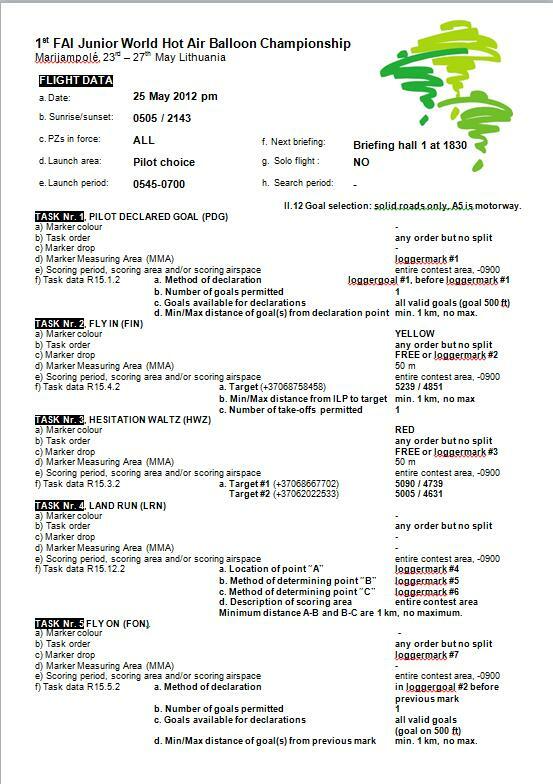 The General Briefing Information available from here. 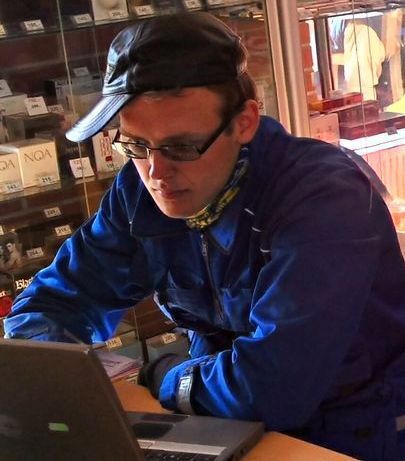 The forecast no shows any rain but little bit strong wind. 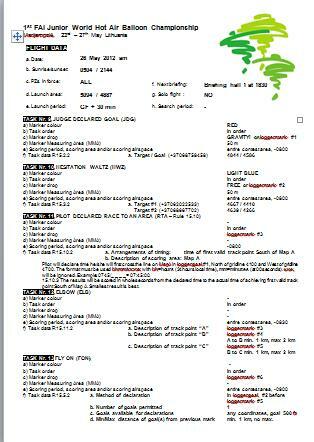 The first competition flight will be today evening over the Marijampolé city. 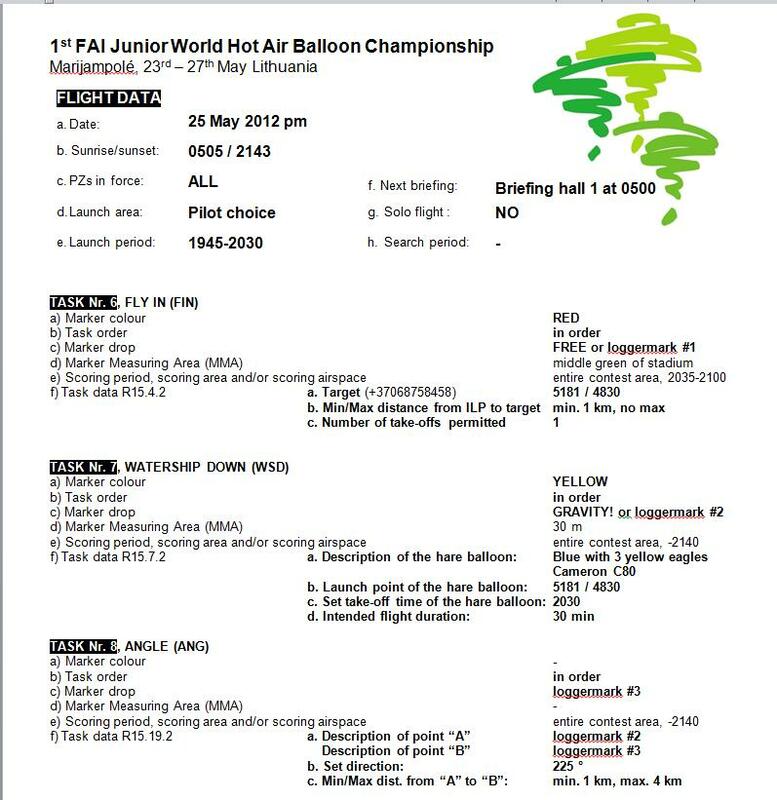 This entry was posted in 1st FAI Junior World Hot Air Balloon Championship, documents, Events, News, Pre-World Junior 2011 on May 23, 2012 by phz.